Moreover, Bosma does not wish to call net art a discipline or movement, as the entire terrain is too diverse and heterogeneous for that, and also has too much of a cross-disciplinary character. Nor is it a good idea to have net art purely coincide with the medium of the Internet, which itself can hardly be described. When the same problem is approached from an art theoretical point of view, limiting net art to a particular medium is also absolutely absurd. Bosma herself refers to Rosalind Krauss, the American art theorist, who in her famous essay ‘Sculpture in the Expanded Field’ argued that contemporary art has wrested itself from the yoke of the medium – it has entered an ‘expanded field’ in which every material or medium can be appropriated, but to which the ‘work’ can never be reduced. That does not mean that the medium as a category can simply be shoved aside. This would lead to a simplistic dichotomy between conceptualism versus materialism – a false contradiction, according to Bosma, which would only work counter-productively in trying to better understand the phenomenon she investigates. What is of primary importance for most of the works that fall under the term ‘net art’ is a good understanding of the network culture from which they spring: the interactions that artists have online with one another and with the public. 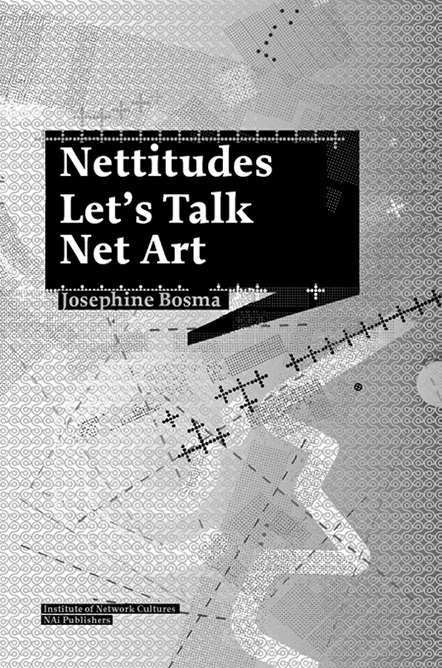 Bosma furthermore points out that net art does not only refer to art that takes place in one way or another on the Internet and on the screen. It can also concern work that is directly inspired by the new realities that the Internet and online cultures create, but whose manifestation takes place entirely off-line, separately from the Internet. ‘Matter’ investigates the role that the hardware, the physical machinery behind the ‘immaterial’ network, plays in net art – sometimes by literally putting these machines on stage, sometimes also by presenting absurd or faulty machinery.